2015 In Review: Entering 2015, the big question throughout the ACC was simple: could Florida State get knocked down, after three straight conference titles and a record of 27-1 over the past two season? Their division foe, Clemson, proved they certainly could. Beyond the big arm of Deshaun Watson, the Tigers won every single one of their regular season games, and cruised past the Seminoles. Clemson ended up losing in the National Championship Game, but still showed enough that they are widely considered ACC favorites entering '16. FSU slipped to 10-3 after a Peach Bowl loss to Houston, but return an abundance of talent. Meanwhile, in the Coastal division, North Carolina recovered from a poor opener loss to South Carolina by winning 11 straight. They were unable to beat undefeated Clemson in the ACC Championship, but were still a major surprise. Georgia Tech, many people's preseason Coastal pick, struggled with injuries and inexperience and slipped downhill to a 3-9 mark just a year after winning the Orange Bowl. After the Tajh Boyd era passed and went by without much to show for it, Clemson quickly bought into his eventual replacement, Deshaun Watson. Questions about Watson's health threatened to hold him back, but he still dominated as a true sophomore. He returns as perhaps the favorite to take home the Heisman. Watson is supported by a plethora of offensive weapons, mainly junior back Wayne Gallman and junior receiver Artavis Scott. Junior Mike Williams is back and ready to go after missing most of 2015 with a neck injury. Clemson will have to reload defensively, but defensive coordinator Brent Venables is one of the best in the land and the cupboard is not bare. Senior defensive tackle Carlos Watkins is a monster, and the Tigers have speed and athleticism in their secondary. With Watson under center, Clemson is the team to beat, no matter what else FSU brings. Florida State slipped by their usual standards last season, going 10-3 and missing out on an ACC Atlantic title. The Seminoles should be better this year, thanks to the return of junior back Dalvin Cook, a Heisman frontunner, and an extremely talented defense. That defense includes stud defensive ends DeMarcus Walker and Josh Sweat and the secondary will still be strong even without Jalen Ramsey, with safety Derwin James back. The question will be quarterback, where FSU juggled Sean Maguire and the now-departed Everett Golson last season. Maguire is back for his senior season, but redshirt freshman Deondre Francois or true freshman Malik Henry could overtake him. If FSU can solve their QB woes, they could very much be a Playoff team. While the ACC figures to mainly be a two-headed race between FSU and Clemson to win the conference, don't forget about Louisville. The Cardinals will be led by true sophomore quarterback Lamar Jackson, who was brilliant last year and should only get better. The mobile signal-caller will have to improve as a passer, but is still a proven playmaker either way. Louisville should be stout defensively, especially in their front seven. Nose tackle DeAngelo Brown is an All-ACC defender, while edge rusher Devonte Fields could lead the conference in sacks. The Cards schedule is no breeze, but they could still win double-digit games and put some pressure on the big powers in the Atlantic Division. After two consecutive 7-6 seasons under head coach Steve Addazio, Boston College fell apart last year. The offense disappeared and the Eagles lost a number of close games, falling to 3-9 overall and failing to win a conference game. They should be extremely improved this season, with new offensive coordinator Scot Loeffler coming in. Kentucky transfer Patrick Towles will compete with sophomore Darius Wade at QB, while the ground attack will look towards sophomore Jon Hilliman. On defense, BC should still be stout even as DC Don Brown ditches to Michigan. Senior linebacker Matt Milano had 60 tackles last year, while junior defensive end Harold Landry recorded a whopping 15.5 tackles for loss. The Wolfpack feasted on a weak non-conference slate to make their second straight bowl game under the lead of QB Jacoby Brissett and head coach Dave Doeren. However, they enter 2016-2017 with some significant questions. Brissett is gone, leaving the quarterback position a serious concern. The defense also has some major holes, and the non-conference slate is no breeze, with Notre Dame and underrated East Carolina ready to go. Senior back Matt Dayes should still put up big numbers, and tight end Jaylen Samuels could prove to be one of the best in the league. Even so, NC State could struggle to make a bowl game. Third-year head coach Dave Clawson is eager to show what he can do at Wake Forest, after the team began his tenure with consecutive 3-9 seasons. Sophomore Kendall Hinton and junior John Wolford will compete to lead Wake Forest's offense at quarterback, but will have the luxury of an established target returning, as junior tight end Cam Serigne is back. Defensively, Wake Forest has enough talent to be solid, with end Wendell Dunn returning, and ball hawking safety Ryan Janvion also ready to go. A very easy schedule (home meetings with Tulane, Delaware and Army non-conference) could help Wake surprise some people and maybe sneak into a low-tier bowl. Throughout much of 2015, Syracuse was dull and unexciting. The Orange's offense was mediocre at best, and the defense lacked much fight. The result was a 4-8 mark that led to Scott Schafer's firing after three seasons at the helm. New head coach Dino Babers is anything but dull and unexciting. Babers engineered explosive offenses as OC at Baylor and as head coach at Eastern Illinois and Bowling Green. He will hope to do the same with the Orange in '16. Sophomore QB Eric Dungey is inconsistent, but showed dual threat abilities, and has a proven target in junior receiver Steve Ishmael. Syracuse should improve defensively, helped by the return of junior linebacker Zaire Franklin, who had 81 tackles last year. Babers will breath some life into the program, but 'Cuse is still too thin and inexperienced to be a real contender in the division. Not much was expected of UNC heading into 2015. The Tar Heels were coming off a 6-7 season, and there were questions about Larry Fedora's ability to turn around the program. A year later, those questions have disappeared. UNC won 11 games last season, thanks to a wonderful season by QB Marquise Williams and a greatly improved defense. The Tar Heels could be even better this year, even without Williams. Junior Mitch Trubisky gained valuable experience as a backup to Williams and could be even better, and will be joined by one of the ACC's best rushers in junior Elijah Hood. Seniors Ryan Switzer and Mack Hollins will lead a talented receiver corps, and the offensive line should also be very good. Defensive coordinator Gene Chizik worked wonders his first year in Chapel Hill, but the group is still improving. Junior safety Donnie Miles and senior corner Des Lawrence should keep the group going. North Carolina is the most complete team in the Coastal, and could give either Clemson or FSU a run for their money in the ACC Championship Game. A brand new era begins in Blacksburg this fall. After 29 seasons of Frank Beamer leading the football team, Justin Fuente will take over the reigns as Beamer retired. Fuente, who worked wonders at Memphis, has the talent to have a successful first season with the Hokies. Juniors Isaiah Ford and Cam Phillips lead a talented and dynamic receiver corps, and the backfield includes rising sophomore Travon McMillian and indispensable fullback Sam Rogers. The question will be at quarterback, as former Texas Tech transfer Michael Brewer graduated. Senior Brenden Motley (Brewer's backup) will have to fight off talented newcomers Jerod Evans, a junior college transfer, and highly touted Josh Jackson. The defense should be its usual smart, disciplined self under longtime coordinator Bud Foster. However, if the quarterback can't get the ball to the talented offensive weapons the Hokies possess, improving on the 7-6 mark Tech has managed the past two years may be tough. Much like Virginia Tech, Miami is eager to break in a new head coach. After 15 years at Georgia, Mark Richt arrives in Coral Gables after Bulldogs fans became fed up with the program's uneven and inconsistent results. Richt has a group that should be solid right away, with junior quarterback Brad Kaaya leading the charge. Kaaya had 3,238 yards and 16 touchdowns last season and has NFL scouts intrigued about what he can do. He will have his top receiver, senior Stacy Coley (689 yards, four touchdowns) back, so big things are expected. Defensively, Miami does have some holes but the unit could still be pretty disruptive. Senior corner Corn Elder could be shutdown, and Hurricanes fans are still hoping defensive linemen Chad Thomas can cash in on his enormous potential. Richt has hit the recruiting trail hard and the future is bright in Coral Gables, but the team may have some growing pains in a transition year. Pat Narduzzi's first season at Pittsburgh was an undeniable success. After a 25-27 record in the four years previously, Narduzzi's team was greatly improved, going 8-5 and sticking in the Coastal race all year long. They should be very dangerous entering 2016-2017, thanks in large part to their running back situation. The 2014 ACC Player of the Year, James Conner, appears ready to play this season. Conner missed all of last season with a knee injury before becoming diagnosed with Hogkin's lymphoma. Despite the illness, Conner participated in all workouts with the team and is prepared to start the season. He will be supported by sophomore Qadree Ollison, who was wonderful last year in his absence. Defensively, Pitt will lean on senior linebacker Matt Galambos and dynamic safety Jordan Whitehead. Georgia Tech's dropoff last year was surprising, but in many ways, understandable. The Yellow Jackets were extremely young, especially in their backfield, and faced injuries. Senior QB Justin Thomas returns after a frustrating junior campaign. Thomas became a star after a wonderful sophomore season, but he has to show he can still run the triple-option offense after his struggles in '15. Sophomores Clinton Lynch and Marcus Marshall join him in the backfield to give the Yellow Jackets a typical potent ground attack. 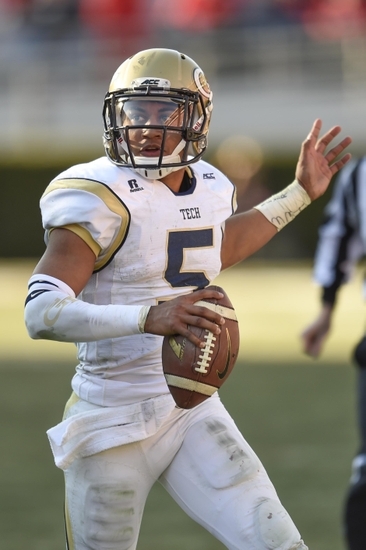 GT's defense wasn't great last year, but could be in store for improvements this season. Linebackers P.J. Davis and Brant Mitchell will keep teams honest, and there is talent in the secondary. The Yellow Jackets and head coach Paul Johnson are eager to prove last year was merely a fluke. Non-conference tests against SEC foes Vanderbilt and Georgia will be tough as will a meeting with Sun Belt power Georgia Southern. Even so, this team has enough talent to reach a bowl. David Cutcliffe has completely turned around Duke football, but they enter 2016 with some questions. 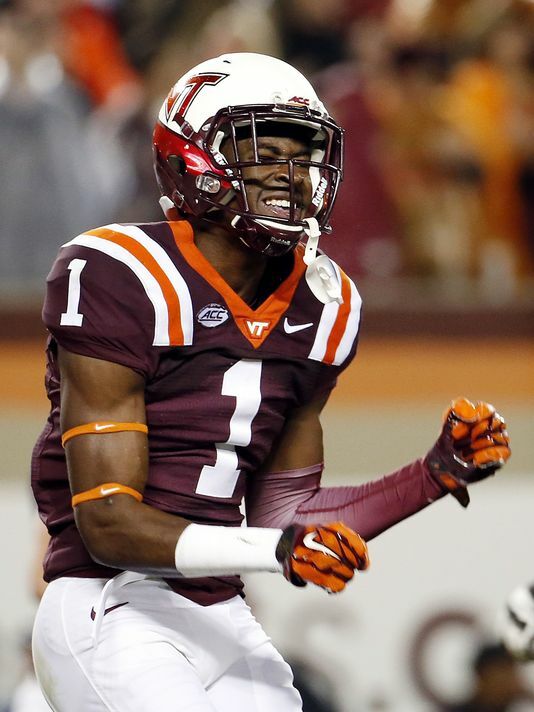 The defense loses their unquestioned leader in safety Jeremy Cash, last year's ACC Defensive Player of the Year, and the defensive backfield has serious concerns. On the offensive side of the ball, Duke has issues at QB. Last year's starter, Thomas Sirk, tore his Achilles this spring and his future is uncertain. Junior Parker Boehme is likely to start in his place, but Boehme lacks experience. Duke's top receiver and a pair of key offensive linemen also depart, leaving the offense with question marks. Even so, Cutcliffe has proven he can work magic more than once in Durham. The Blue Devils should still have enough to contend for a bowl berth. Not surprisingly, Virginia decided it was time to move on from Mike London after six frustrating seasons. What was surprising, however, was London's replacement. Bronco Mendenhall was a consistent winner at BYU, but takes more money and a job in a Power Five Conference in Charlottesville. Mendenhall won't have an easy job, but the cupboard is not completely bare at all. Senior QB Matt Johns showed he could move the ball last year, and will be joined by senior back Taquan Mizzell on offense. On defense, UVA has some NFL-caliber talents in safety Quin Blanding and defensive end Andrew Brown, who looks to breakout. It may not be enough to keep Virginia from sinking to the cellar in a deep Coastal, but the Cavs could still surprise some people this year.